Portable yet powerful, the DJI Mavic Pro is a professional drone, ready to go with you everywhere. Buy DJI Mavic Pro Fly More Combo online and get free shipping Australia wide. The DJI Mavic Pro is a compact yet powerful drone which allows you to take your creativity to new heights. 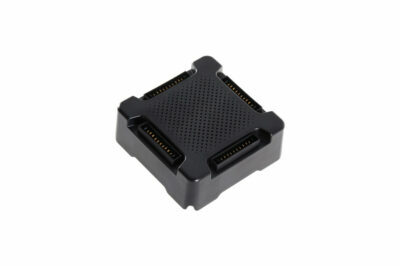 Even though it’s small, it’s quite complex and has a lot of features that will make it ideal. See how it feels to be on top of the world and take great photos with this fun drone! 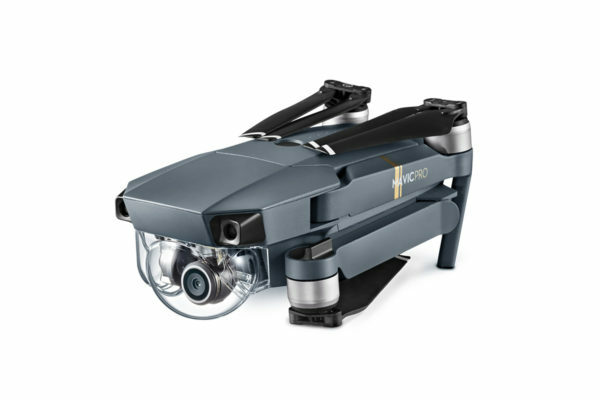 With amazing looks and best performance DJI Mavic Pro is one of the ultimate drone to purchase. 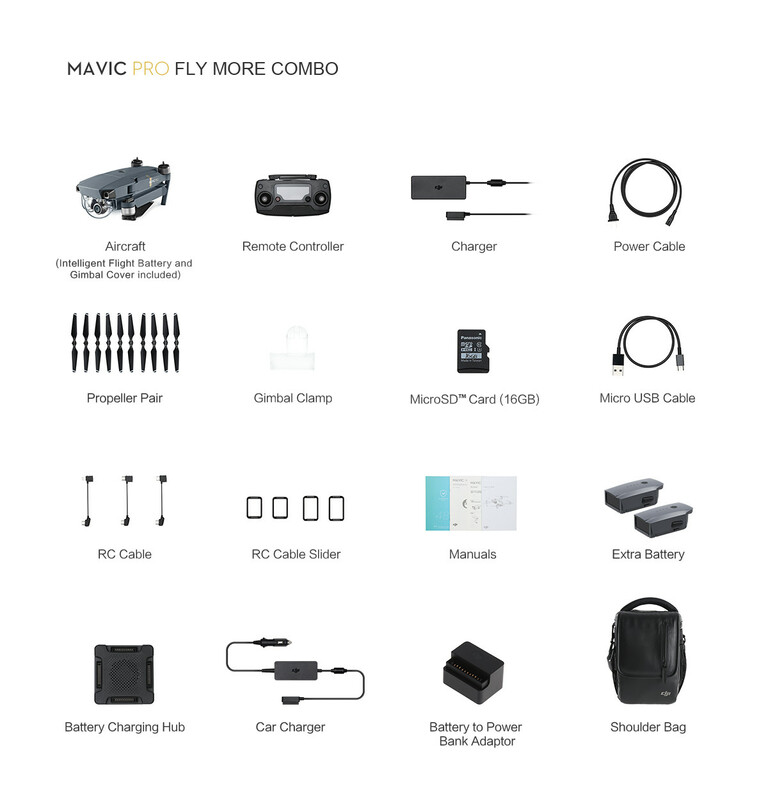 The DJI Mavic Pro has 24 high-performance computing cores, an all-new transmission system with a 7km (unobstructed, free of interference, when FCC compliant) range, 5 vision sensors, and a 4K camera stabilised by a 3-axis mechanical gimbal, at your command with just a push of your thumb or a tap of your finger. 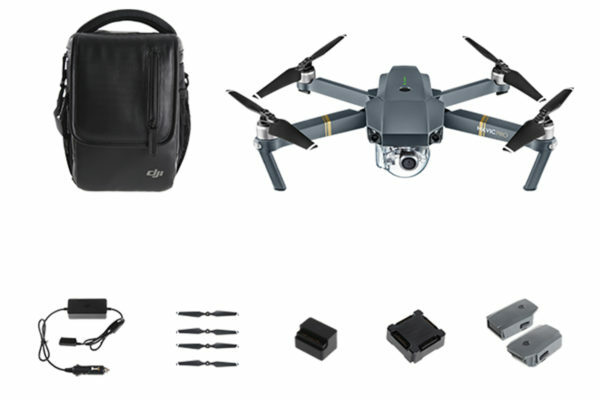 DJI Mavic Pro Fly More Combo Kit includes- 2x Extra Batteries, 1x Shoulder Bag, 1x Charging Hub, 1x Power Bank Adpt, 1x Car Charger and 2x Extra Quick-release Propellers. This is a single box package. 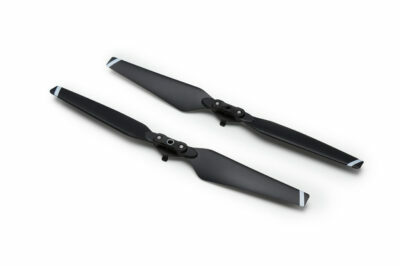 The DJI Mavic Pro is powerful yet compact and measures H83mm×W83mm×l198mm (folded) and weighs 743g. Gives the DJI Mavic Pro intelligence to dodge obstacles and hover aptly. This DJI Drone includes 2 cameras, GPS & GLONASS, 2 ultrasonic range finders, redundant sensors and 24 powerful computing cores. The DJI Mavic Pro comes with a 3 axis gimbal stabilisation, 4K/30fps, 12 megapixels camera. Max 8 seconds exposure and Adobe DNG RAW. DJI Mavic Pro is capable of reaching 65kmph speed in Sport Mode and lets you fly for up to 27 minutes. 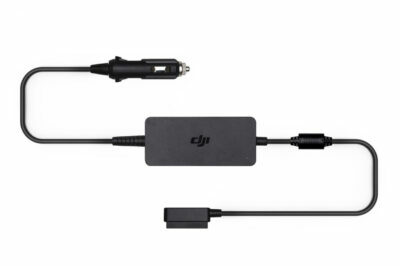 Inside the DJI Mavic Pro’s pocket-sized remote controller is DJI’s brand new OcuSync transmission technology, with a range of 7km (unobstructed, free of interference, when FCC compliant), HD 720p long range and Full HD 1080p short range video streaming. An unprotected drone could hit obstacles during long distance flight or when descending from an inadequate height in Return to Home mode. The DJI Mavic Pro uses FlightAutonomy technology to sense obstacles up to 15m away and allows the DJI Mavic Pro to bypass them or brake to hover, reducing accidents. Satellite positioning can only help a drone hover in an unobstructed outdoor area free of interference. Without satellites, the drone will not be able to position and become susceptible to drifting. 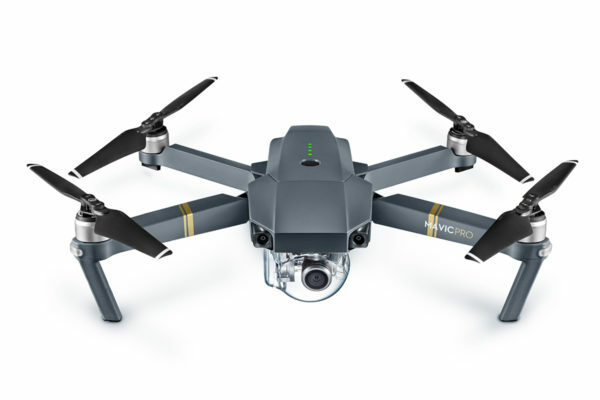 However, with forward and downward vision sensors, the DJI Mavic Pro can hover precisely indoors or in places without GPS. The DJI Mavic Pro is only 1/6th the size of the DJI Phantom 4 but this reduction in size doesn’t mean a reduction in flight time. The DJI Mavic Pro actually flies much longer than you would expect from its compact size. It is capable of reaching an absolute maximum flight time of 27 minutes and a maximum distance of 13km due to its powerful, high-efficiency motors. DJI Mavic Pro supports 4K video at 30fps. No Electronic Image Stabilization is used, ensuring all footage is 4K. The DJI Mavic Pro has a miniaturised, ultra-precise 3-axis gimbal, capable of stabilising the camera even during high-speed motion for smooth video and sharp photos. Everyone loves a good photo. Whether you just want to take a snap or are building up your portfolio, the DJI Mavic’s 12-megapixel camera with Adobe DNG RAW support is ready to shoot. Perfect pictures in fewer shots, is something that the DJI Mavic Pro can provide you with. 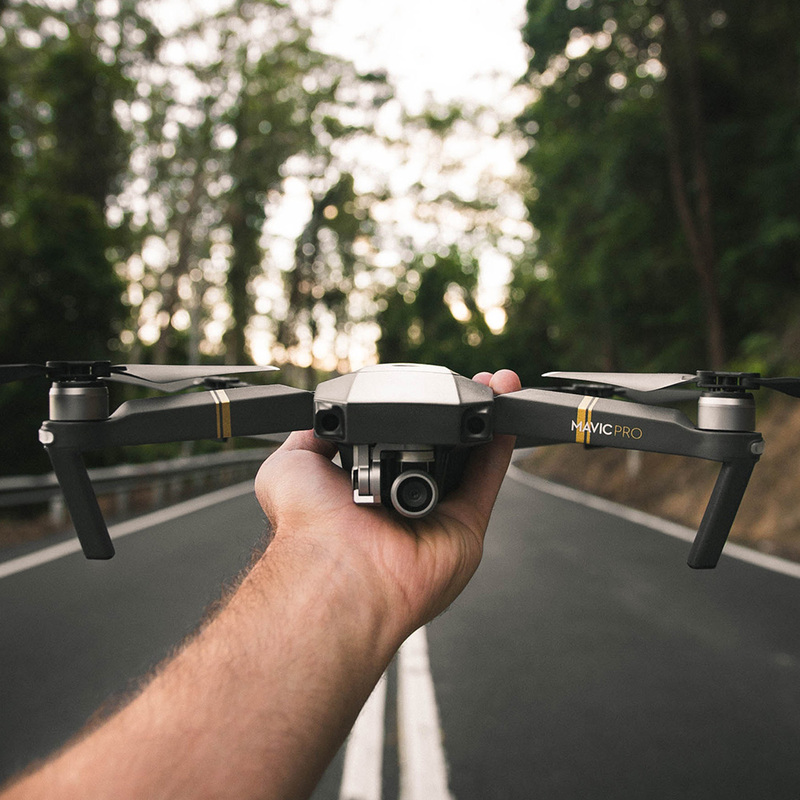 Maybe all you want to do is grab a quick drone, set up tracking to shoot a friend, or even just head skywards for a quick flight. All you need is your phone. Shoot like a professional, automagically. Both Master and Slave remote controllers can control the aircraft and gimbal, but the master remote controller has priority. 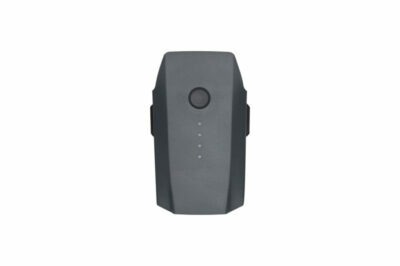 A more experienced pilot can use the Master remote controller to override a less experienced pilot for better safety. Dual Remote Controller Mode makes it fun and easy to fly the DJI Mavic Pro and film aerial footage collaboratively.